When you're in the mood for a sweet frozen treat, visit these local ice cream parlors and frozen yogurt shops. Grab a cone, get a dish, or go all out with a sundae. Players Park Family Fun Plex is the ultimate place to go in Clifton Park for family fun for everyone from 4 years old to 100! 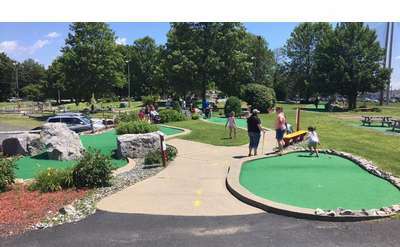 Putt around the mini golf course, try out the unique game of foot golf, and enjoy an ice cream treat after the activities.